Toronto holds onto the top spot after going 3-0 last week. They’ll be tested this week with three of their four games coming against top-5 teams according to these rankings. The Bucks had a rough week last week, going 1-2. 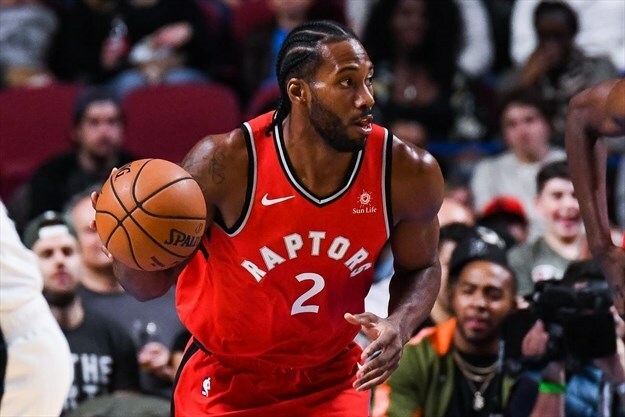 They could struggle to get back on track this week with games coming up against the Raptors and Warriors. While Golden State struggled last week, going 1-2, their MVP returned from injury. Their losing week isn’t really news considering Curry’s back and Draymond and Cousins will be returning soon. The Sixers just keep rolling. After a 3-0 week, they have still only lost twice since they acquired All-Star Jimmy Butler. Philadelphia looks primed to make some serious noise come playoff time. Denver is currently on a five-game winning streak that includes two convincing wins last weeks against the Trail Blazers and Lakers. They’re still waiting to get Will Barton back from injury and he should help make their team a legitimate contender in the West. The Clippers just keep winning, winners of nine of their previous eleven games. Montrezl Harrell is a front-runner for sixth man of the year, completing a group of four Clippers that are currently averaging over 16.5 points per game. With how well he’s playing it wouldn’t be shocking to see him eventually become their starting center. OKC basically had a bye last week, going 2-0 against the Cavs and Hawks. The Thunder are currently on a roll, winning 14 of their past 17 games and they should continue their winning this week, with two of their three games coming against the struggling Bulls and Nets. LA-Bron keeps on rolling, going 3-1 last week. While the Lakers are looking more and more like the past couple of years Cavaliers teams, that isn’t necessarily a bad thing, considering they went to four straight finals. The Celtics had a great week last week, going 3-0, and Gordon Hayward was a big reason why. 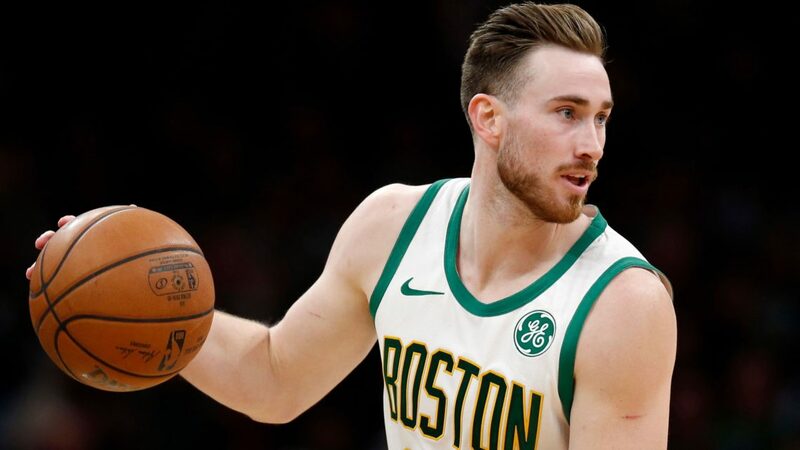 While Hayward is currently coming off the bench, he had his best game in a Celtics jersey against the Timberwolves, posting 30 points 9 rebounds and 8 assists. While Hayward continues to find his rhythm, the Celtics should continue to play better and better. Memphis came back to reality last week, going 1-2. They’ve currently lost four of their past five games and things won’t get much easier this week with games coming up against both LA teams. Losers of five of their past six games, Portland has really started to struggle. This team isn’t built for success come playoff time so losing in an uber competitive Western Conference isn’t surprising. They’ll either need to tank one season (unlikely) or eventually trade one if not both of Damian Lillard and C.J. McCollum. Detroit has won seven of their past eight games, including their current five-game winning streak. While most of those wins have come against sub-par opponents, they have beaten the Warriors and Raptors this season. They’ll have to maintain there current pace all season if they want a chance at making it out of the first round of an improved Eastern Conference. Indiana has played well enough to survive since Victor Oladipo got injured, going 3-4 without their star player. While Oladipo is out indefinitely, the Pacers will need to get major production from Myles Turner, Domantas Sabonis, and free agent signings Tyreke Evans and Doug McDermott. The return of Harrison Barnes has helped the Mavericks bounce back from a slow start to their season. After losing seven of their first nine games, they’re currently on a roll, winning eight of their past ten games. 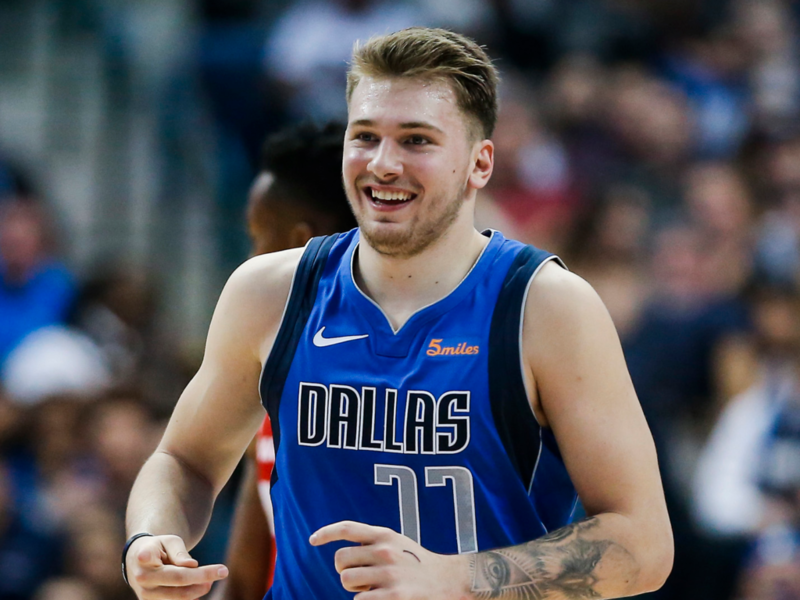 Barnes, DeAndre Jordan, and rookie Luka Doncic make up an interesting core for Dallas’ future, but for this season they could make a run at a playoff spot. While Anthony Davis continues to play at a MVP level, the Pelicans continue to play mediocre basketball, going 2-2 last week. Things may get worse before they get better, as they play the Clippers, Grizzlies, Pistons, and Mavericks this upcoming week. The return of Chris Paul from injury helped the Rockets end their four-game losing streak. While the Rockets are totally dependent on their two star players, they have been an elite team with both Paul and James Harden on the court, going 10-4 in such games this season. Charlotte briefly cracked .500 last week before enduring back-to-back losses to the Jazz and Pelicans. The Hornets look like they’ll be hovering around the .500 mark all season long, but that should lead them to a playoff berth in what could be Kemba’s final season in Charlotte. San Antonio has really been struggling, losing 10 of their past 15 games. After getting off to a hot start to the season, the Spurs have really missed the injured Dejounte Murray and the departed Manu Ginobli and Tony Parker. The Kings young core continues to challenge every opponent they get matched up with. While they struggle to finish games, they should get better in time considering how young their main players are. The Kings are still in the Western Conference playoff hunt, but they should ultimately finish the season on the outside looking in. The Jimmy Butler trade is turned out to be a good deal for both teams. While the Sixers have been rolling since acquiring the All-Star, Minnesota has gotten hot as well. Winning seven of their ten games since the trade, Minnesota is quietly entering the hunt for a Western Conference playoff seed. Orlando continues to play better than most people could have expected this season. While they probably won’t make the playoffs this year, they have seen enough flashes from their young core of Aaron Gordon, Jonathan Isaac, and Mo Bamba to get excited for their future. Utah went 2-2 last week, which was an improvement from their previous two weeks. They recently acquired sharpshooter Kyle Korver who will help them surround Donovan Mitchell with shooters, but it might not be enough to keep pace with the other playoff hopefuls out West. Since it was reported the Wizards were listening to trade offers for John Wall and Bradley Beal, the Wizards have been playing much better basketball. They’ve won seven of their past twelve, but that might not be good enough to stop the Wizards from eventually trading one of their All-Stars this season. While their record doesn’t necessarily show it, Miami has started to play much better as of late. They’ve been competitive in each of their past six games, which is an upgrade from how they started their season. Miami has been notorious to getting off to slow starts; so don’t count them out of the playoff hunt just yet. Since Caris Lavert’s injury, the Nets have been in free-fall. Losers of their past six games, they are looking more and more like a team that should be in the mix for a top-5 draft pick. While every team should want to win, a top draft pick would be huge for this young Nets squad. The Knicks may have one of the worst rosters in the league, but they remain competitive in most of their games. They’ve actually won four of their past six games and have recently been getting solid production from rookie Kevin Knox. Winning might not be ideal for this rebuilding Knicks squad, but as long as their young players are playing critical roles in those wins they have to be happy. Peace out Fred Hoiberg. The Bulls finally fired their young coach in the middle of his third season with the Bulls. Hoiberg never really seemed like a good fit in Chicago and he never seemed to impress from a coaching standpoint. Good news for the Bulls, however, was the return of Lauri Markkanen. Markkanen, Zach LaVine, Wendell Carter, and Kris Dunn make up an extremely intriguing young core for the Bulls and they’ll likely add another top-5 draft pick this summer. I feel bad for the Suns. While 14 teams are in contention for a playoff spot in the West, the Suns have already all but locked up 15th and last place in the conference only 23 games into the season. The rest of their season will be all about finding out what they have in Josh Jackson and building chemistry between Devin Booker, DeAndre Ayton, and Mikal Bridges. The Hawks continue to play their rookies over their veterans in an attempt to develop their young players while also tanking for a top-3 draft pick. Adding one of R.J. Barrett, Zion Williamson, or Bol Bol could make this team very intriguing in the future. The Cavs continue to play like the worst team in the league. While they had a decent week two weeks ago, they went right back to their terrible ways last week. Collin Sexton and Cedi Osman look like some promising young players, but other than that the Cavs are lacking in future assets.